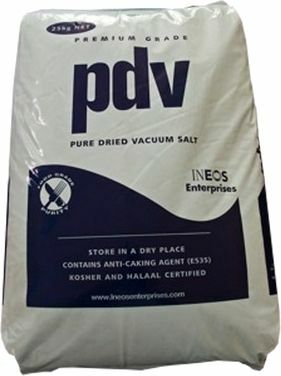 PDV Salt is a fine white free flowing salt, made to a high specification assured under ISO 9001:2000. It is used in food production and a wide variety of other applications. It has a high chemical purity due to low sulphate, bromide and moisture levels. Kosher and Halaal certified for food use.